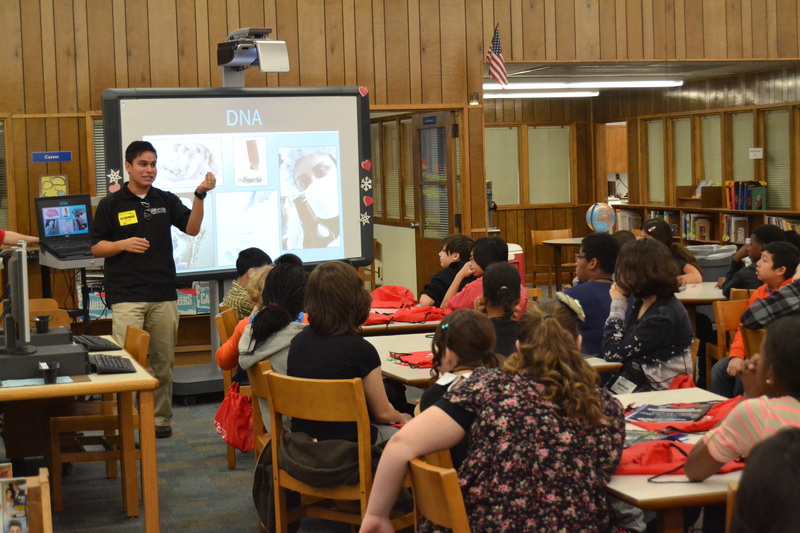 Last Tuesday, February 25th, our CSI Camp-for-a-Day program was back on the road as we traveled to Brandon Middle School in Virginia Beach, VA. Since we hadn’t been out and about since our Colorado Springs event in November, it was nice to get out and stretch our CSI legs yet again. 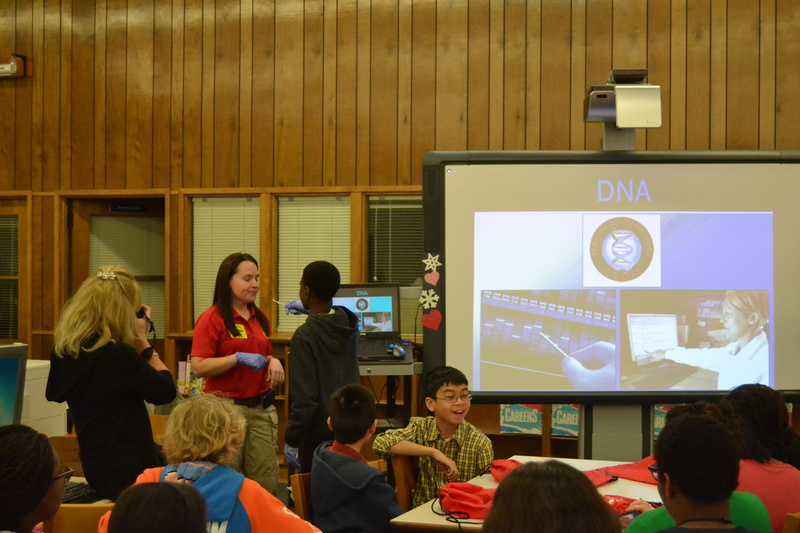 and one camper even got to try his hand at swabbing an agent’s cheek for DNA. 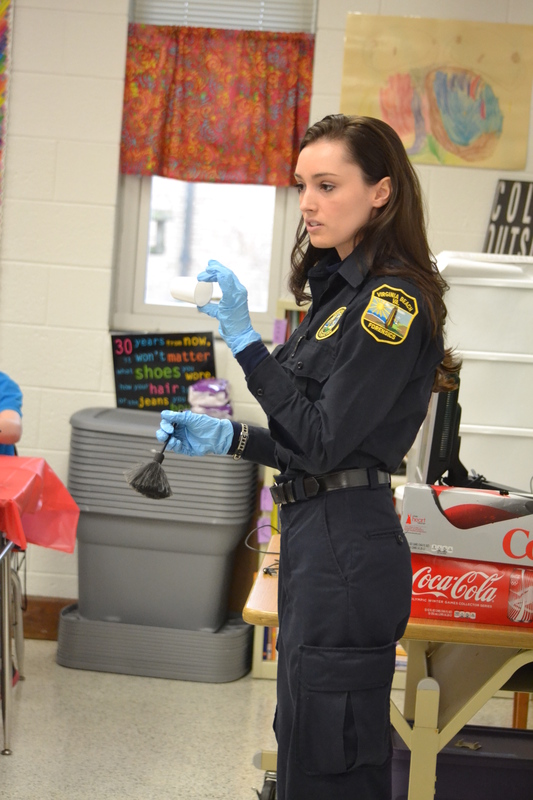 Forensic Technician Megan Watson of the Virginia Beach Police Department leads campers through the fingerprint dusting activity. 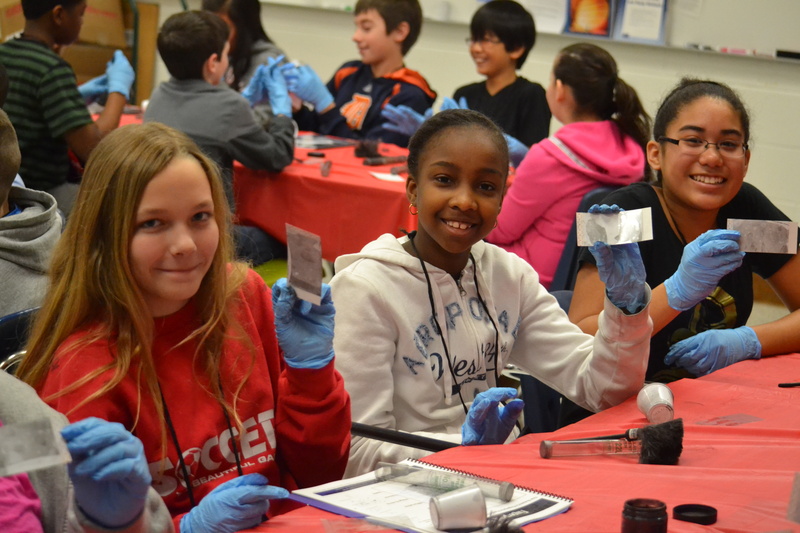 Students learn all about the different components used to analyze fingerprints in the Fingerprint Sensor Lab. 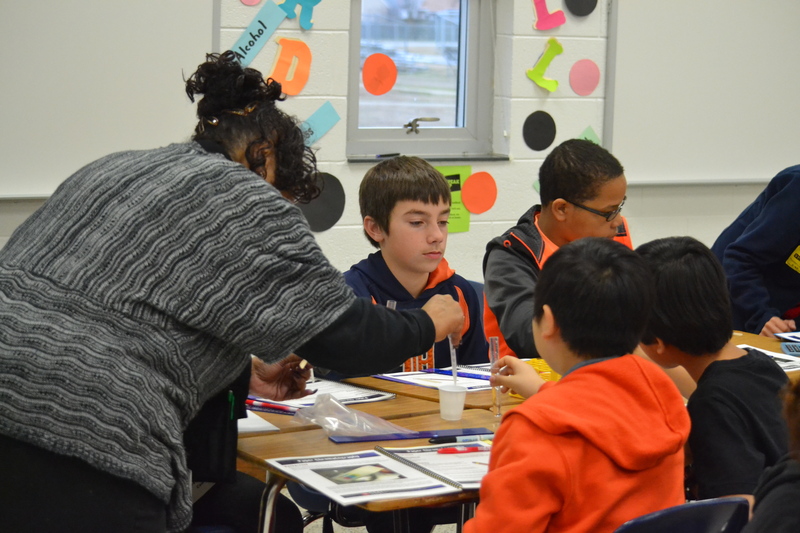 and the paper chromatography activity. 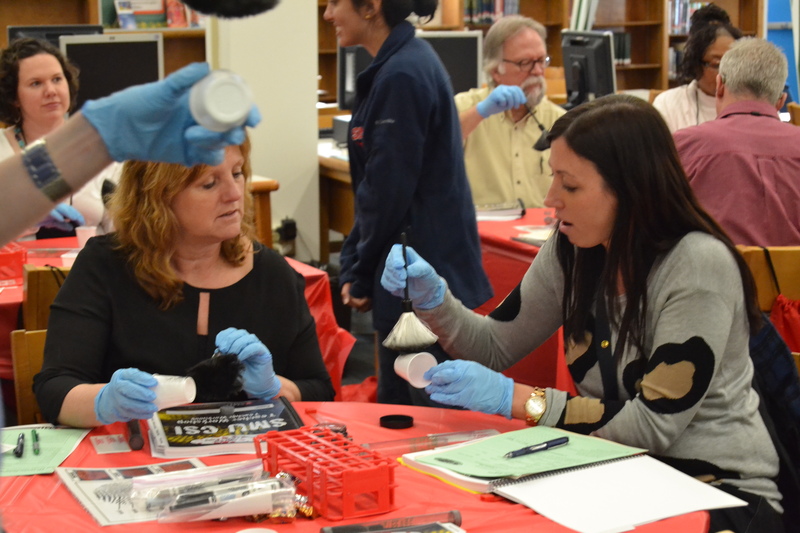 Brandon Middle School teachers help students determine which marker wrote a note found at the crime scene in the paper chromatography activity. 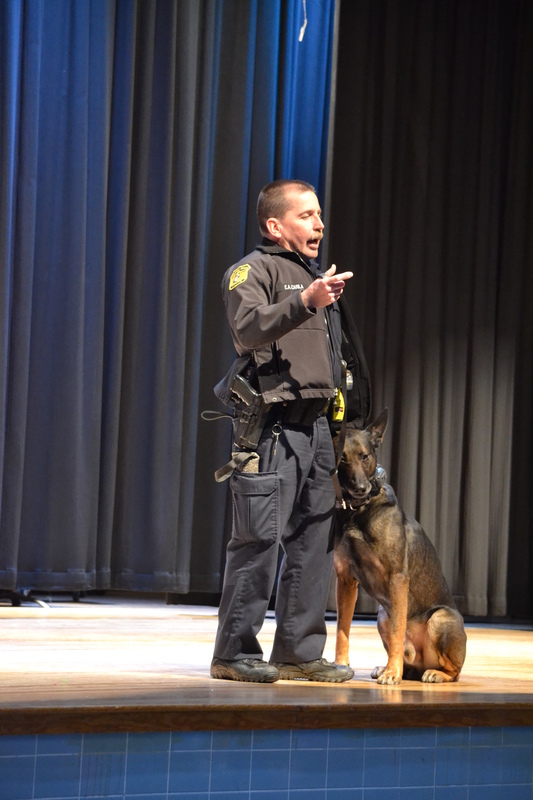 Additionally, two professionals from the Virginia Beach Police Department’s K9 Unit—officer Curila and Rudy—discussed what a day in the life of a K9 officer is really like, and gave the students tips on how to train for and pursue a career working with K9s. 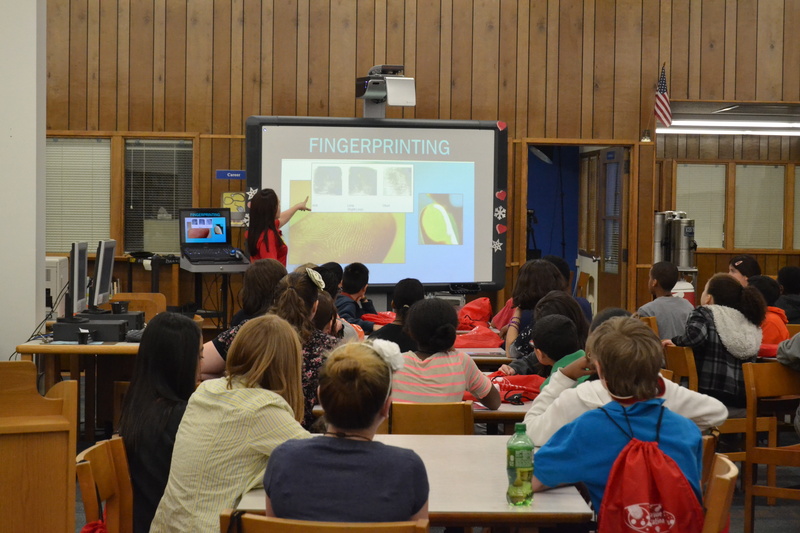 The fingerprint dusting, sensor, and paper chromatography activities helped students narrow their list of suspects from twelve people to three, and campers were finally able to hone in on the perpetrator during the Closing the Case activity. 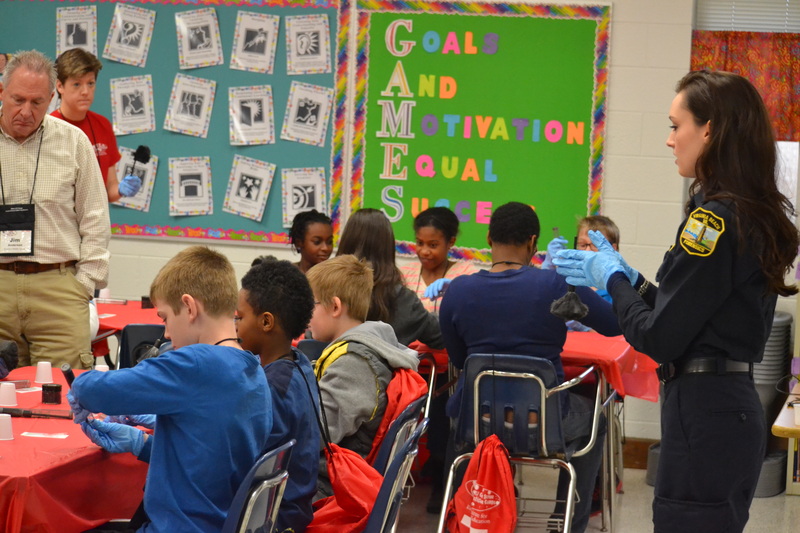 Once again, we had a wonderful experience bringing our CSI Camp-for-a-Day program to a new community in the United States. 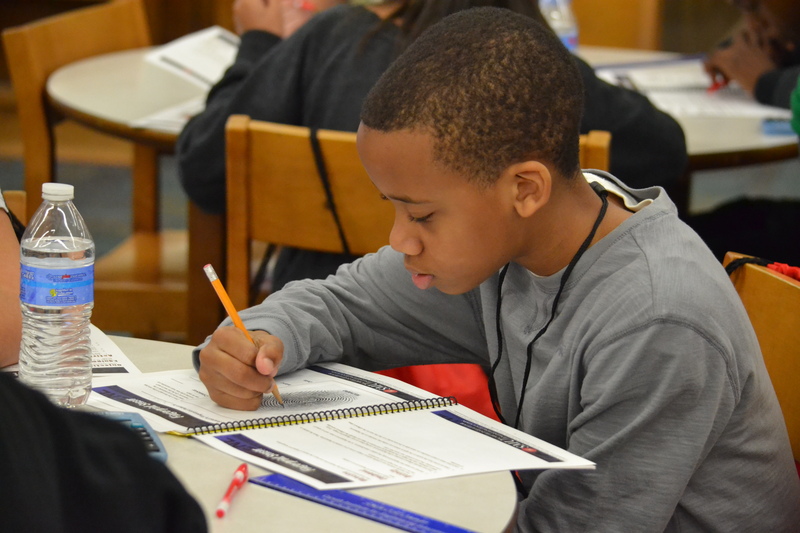 The people of Brandon Middle School—students, teachers, and administrators alike—really embraced this program with open arms, and dove right in to the project-based and inquiry-based curriculum. 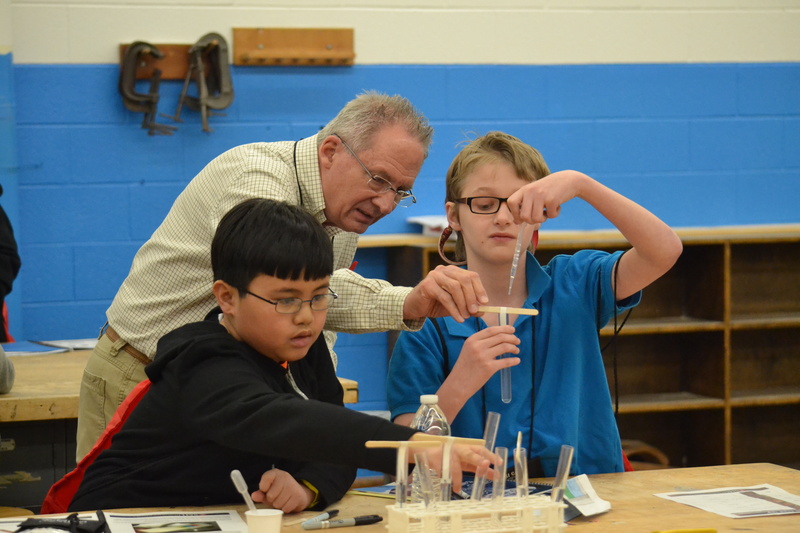 Additionally, the impact of the CSI Camp-for-a-Day was extended even further during the teacher workshop, which took place the night before the event. 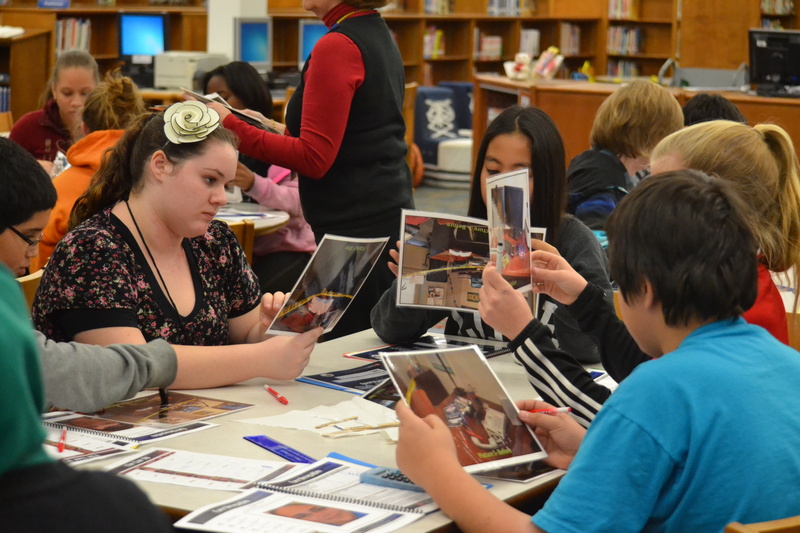 This workshop allowed us to share the full curriculum with teachers from all over the area so that they could, in turn, utilize these activities in their own classrooms for years to come. 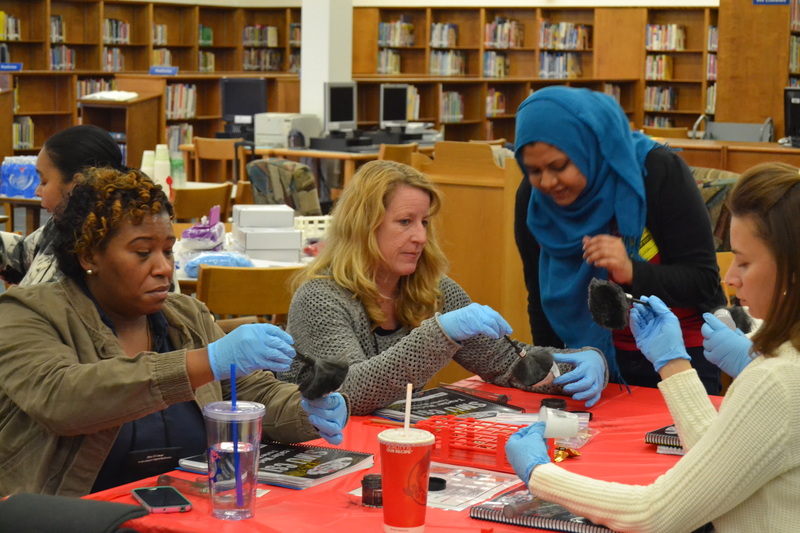 Virginia Beach teachers dust for fingerprints at the teacher workshop. 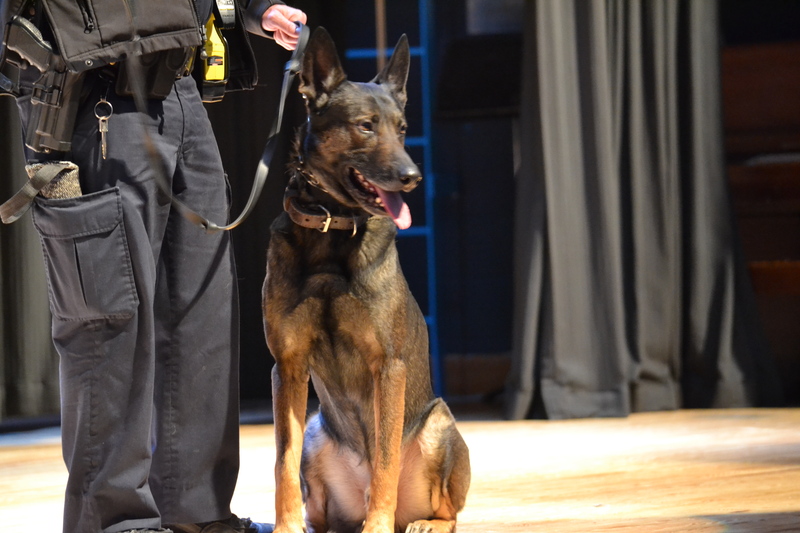 While those of you who frequent this blog are likely familiar with the structure of our CSI camp programs, we often don’t stress the impact these programs have on communities all across the US. 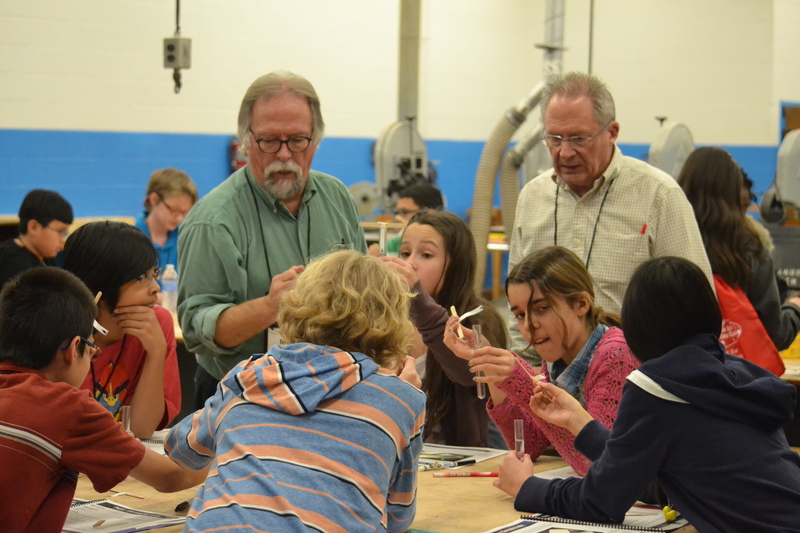 By involving local teachers in this program, we can extend the use of this curriculum far beyond just the students who attend our one-day event. 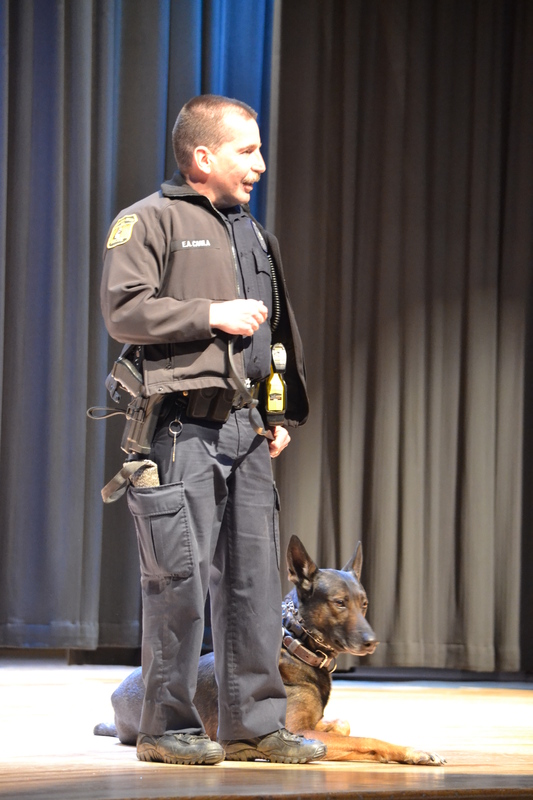 The major goal of this traveling program is to extend the reach of our CSI summer camp program nationally. 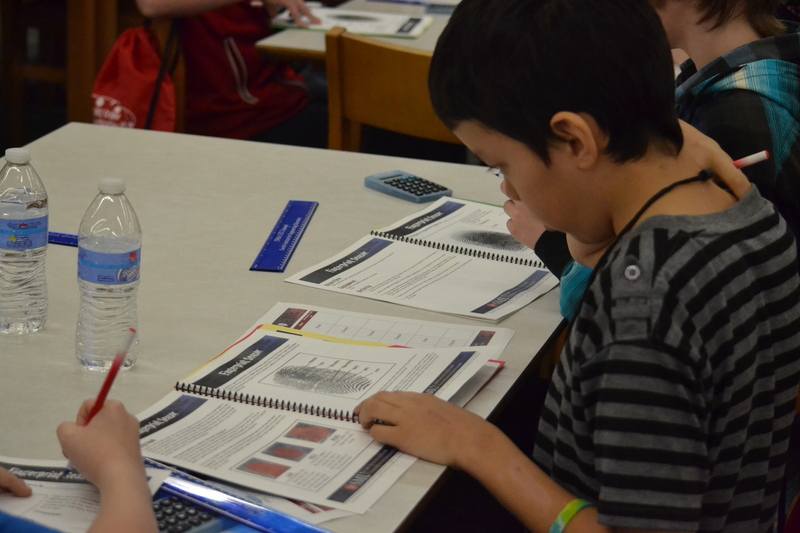 We project that our traveling camps-for-a-day will have the opportunity to reach roughly 45,360 students throughout the duration of the program, assuming each teacher uses the curriculum with 5 classes of 18 students per year. In this way, we are able to further accomplish our overall mission to increase the number and diversity of students interested in pursuing STEM education and careers.